What four things are you thankful for today? 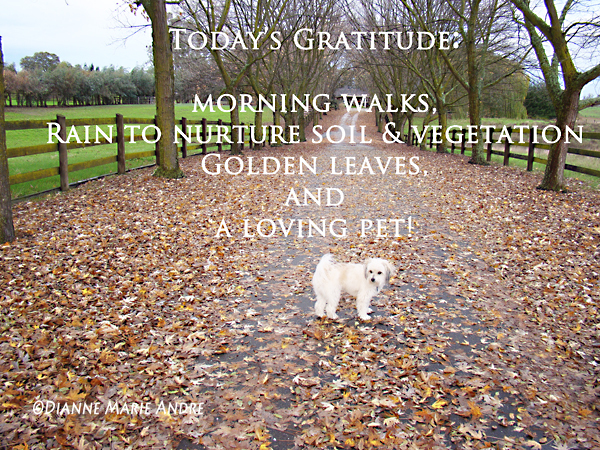 This entry was posted in Blog and tagged gratitude, leaves, morning walks, pets, photography, rain, soil, vegetation. Bookmark the permalink.